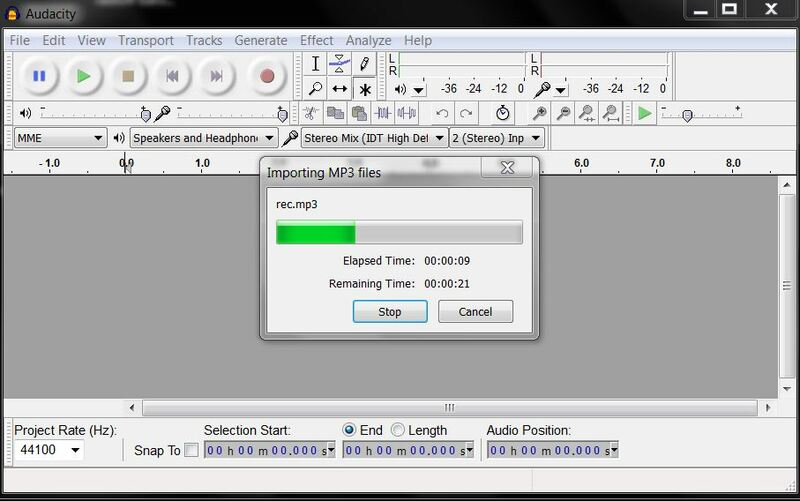 What is Audacity doing with a compressed format when importing an mp3 or flac into it? What happens? What is the difference? Is Audacity processing the mp3 or wma after having converted (extracted?) them as wav? When you feed it MP3-encoded files, it will decode the files into an uncompressed format that is used for internal representation. Working on encoded files directly is not easy since audio samples may be interleaved or dependent on others. An audio sample is represented in the percetpual hearing domain – so, what you see in the file is not actual audio: you have to decode it again, using psychoacoustic methods. If you decode the file, you will get an easy to work with waveform with Pulse Code Modulation. In fact, Audacity will create chunks of 1 MB files as temporary files, and they seem to be just regular PCM-encoded WAV, meaning raw audio. That's also why importing WAVs is so fast – they do not have to be transcoded, they can just be used as-is. It's decompressing and converting them to a raw (or a proprietary) format so that you can easily edit them in a non-linear fashion. The MP3 and the WMA are more than likely compressed, where as the WAV more than likely isn't, or as least isn't compressed nearly as much. This decompression and conversion is what you're waiting for when you import them (note it's import them, not just load them). What is a Codec (e.g. DivX? ), and how does it differ from a File Format (e.g. MPG)? What is the best format to convert a WMA file into in order to process it in Audacity? How to properly concaternate two audio files together? Is it possible to run two separate instances (copies, versions) of Audacity? Can I Import WM Player/wav album info into iTunes on Win7 PC? Does editing a lossy format without converting to another format file hurt quality? 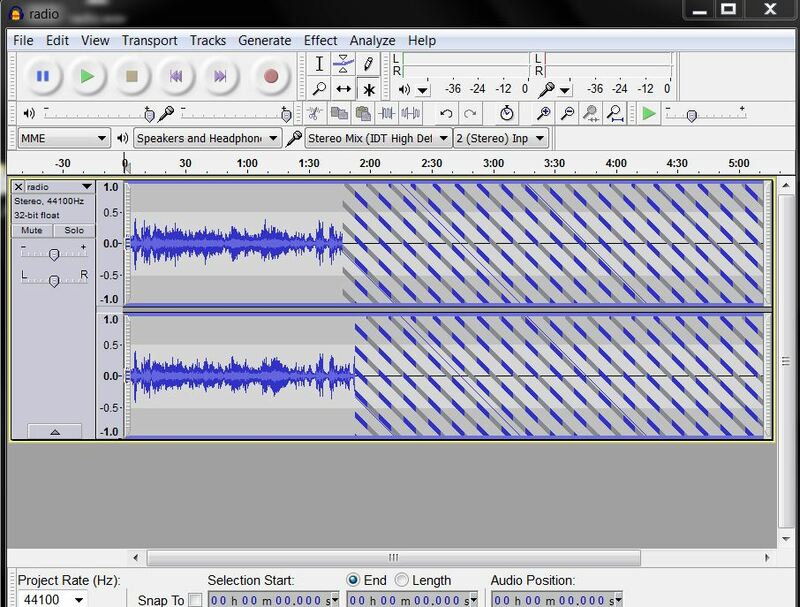 How can I import audio sequentially in Audacity?